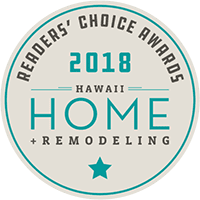 “Should I remodel or rebuild my home?” This is one of the most common decisions Hawaii’s homeowners face when considering major upgrades to their home. Graham Builders, host of Oahu’s first and most popular construction seminar for homeowners, found that 24 percent of their seminar attendees are trying to answer this very question. There are pros and cons to both. “The first things to look at are the budget and needs of the homeowners. What are their goals? Building a new house resets the clock, is best for the long haul and provides the most value,” said Graham. “However, the overall cost for building new will be more than a remodel. The homeowners should to ask themselves if their vision can be achieved within the home’s current layout. If these visions will turn the home into something it was never intended to be or requires changing its orientation, it is best to rebuild. Another consideration is the age of the homeowner. Does it make sense for homeowners in their 40’s to remodel their home when it is likely that they will be faced with another large project when they are approaching 70? Local design+build contractor Graham Builders has guided hundreds of satisfied homeowners through this question and other successful projects for nearly three decades. Homeowners interested in learning more about the ins-and-outs of home construction are invited to attend Graham Builders’ upcoming “Building Your Home for Life” seminar on Saturday, Jan. 5 from 9 to 11 a.m. at the Honolulu Country Club. Seminars are free. Reservations are required. To register, visit grahambuilders.com or call 593-2808.